Have you ever looked at an excellent website and wondered if you could do that? Or looked at the way a website was laid out, the way buttons reacted when you clicked them or any other complicated part and wonder how could somebody do that? Well, all these things and more, are referred to as front-end web development. While a web design means how a website looks, front-end development deals with the implementation of the design on the web. It is important for every front-end developer to understand how exactly the web browser operates. Understanding the role of the domain name system (DNS) in accessing a webpage is imperative. The DNS brings the IP addresses and words together to make the experience easier for the user. It is imperative to understand how the web hosting works. It goes a long way when developers are well equipped with the possibilities of the system that runs the applications. The developer must understand the role of UX and UI in the development of a website. In this digital era of today, developers must be well-learned about SEO and must be proficient in making the website fully optimized for people to see the product. As developers, one must be able to bring the designer’s creativity and ideas to life through the codes. Being able to animate in code strengthens the grip and also help developers use their creative side. Must a front-end developer know how to design? If you start working in a credible firm as a programmer with great programming skills and possess a depth knowledge of HTML/JS/CSS, your employer will consider you a talented web developer. Most companies will have their own UX designers who will tend to all the designing part while you focus your attention on the developing part. But if you learn to design as an additional skill, it will add value to your resume and augment your working as a developer. It is, however, important that the designer and the developer work closely to make the code look as close to the design as possible. 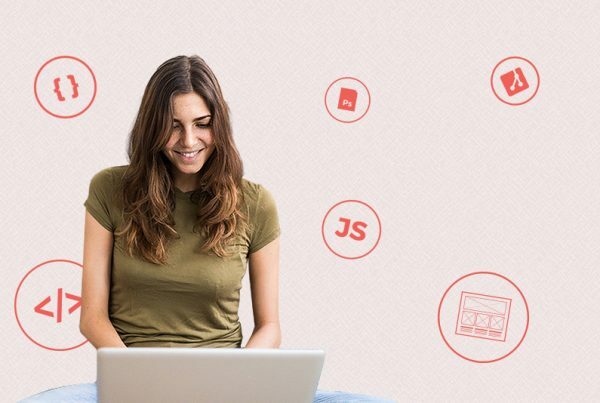 Finding the right front-end web developer, amidst a plethora of available options, may be a daunting task. At Webnado, the leading web development company, our team comprises of skilled personnel who can handle everything from idea generation to the final production of the website. With us, stay at par with the latest digital trends & help your business excel.